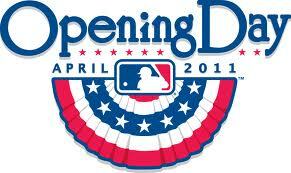 NOTE: Tomorrow is apparently Major League Baseball’s official Opening Day, although they have some games today.The logo clearly says April 2011, although elsewhere on the MLB site it says March 31. Jeez. Just celebrate both days! Today is opening day and, aside from the winter holidays of Christmas and Thanksgiving, the time of year when you hear the most cliches. You know, spring and new hopes and new expectations, life begins anew, blah blah. Well, there is not much else to say. Except: play ball! We seem to have lost the story arc of my big sister. Well, she got this job, and she had a boyfriend who worked at the radio station. For a while she was digging soul and funk but after she ditched the boyfriend she dabbled mainly in straight-ahead rock and roll. Good for me, because I like that too. 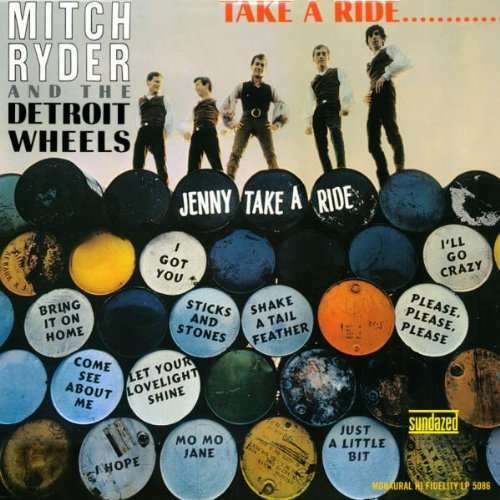 Anyhoo, Mitch and the Wheels were coming off the success of “Jenny” when they cut Take A Ride. Now, the Wheels were a crack band – lead guitarist Jim McCarty, rhythm guitarist Joseph Kubert, bass player Earl Elliot (replaced in 1966 by Jim McCallister and monster drummer John “Johnny Bee” Badanjek. These guys played with an energy and fierce abandon that really made these songs jump: in fact, when “Jenny Take A Ride” was a hit it also hit No. 1 on the R&B charts, the first time a rock group accomplished that feat. Legend has it that the Rolling Stones were recording in the same studio the day that “Jenny” was cut, and they convinced Crewe that should be an A-side rather than the flip. In addition to the hit, Take A Ride includes some sweaty white-boy versions of stuff like “Shake A Tail Feather” (James & Bobby Purify), “Bring It On Home To Me” (Sam Cooke), “Come See About Me” (Supremes) and not one, but three, covers of James Brown tunes. “I Hope” is an original, done beautifully ala The Drifters, complete with sweet soul/mariachi horns and some respectable harmonizing. “Baby Jane (Mo-Mo Jane)” is another original, and Ryder’s vocal vaguely recalls Bob Dylan here. Both “I Hope” and “Baby Jane” were relegated to B-sides, so they had a little more exposure outside the LP. Of course, you’ve most likely heard some Mitch Ryder’s tunes by other artists. Bruce Springsteen famously cobbled together the four tunes comprising the “Jenny” and “Blue Dress” singles – the version you hear on the No Nukes album (1979) and is still performed by Springsteen regularly. The Boss fanboys have retitled it “The Detroit Medley,” which at first glance seems odd, considering “Good Golly” and probably “C.C. Rider” are New Orleans songs. But’s all to pay tribute to Ryder, who not only influenced Springsteen and Detroit rockers like Bob Seger, the MC5 and Ted Nugent but most likely another Michigan kid who formed his own band in the 1960s and changed his name to Iggy Pop. You can also hear Ryder’s influence in the version of “Shake A Tail Feather” performed by Ray Charles and the Blues Brothers in The Blues Brothers movie from 1980. Ryder has performed regularly since the 1960s, mostly solo but occasionally with one or two members of his original Detroit Wheels. McCarty and Badanjek formed a band in the 1970s, the Rockets, that had some success (I saw ’em open for KISS in 1978) and they still play today as well. The last time the Rockets played was in 2010 and apparently they’re working on a new album. And before you ask: are the incredibly great and influential Mitch Ryder and the Detroit Wheels in the Rock and Roll Hall of Fame? 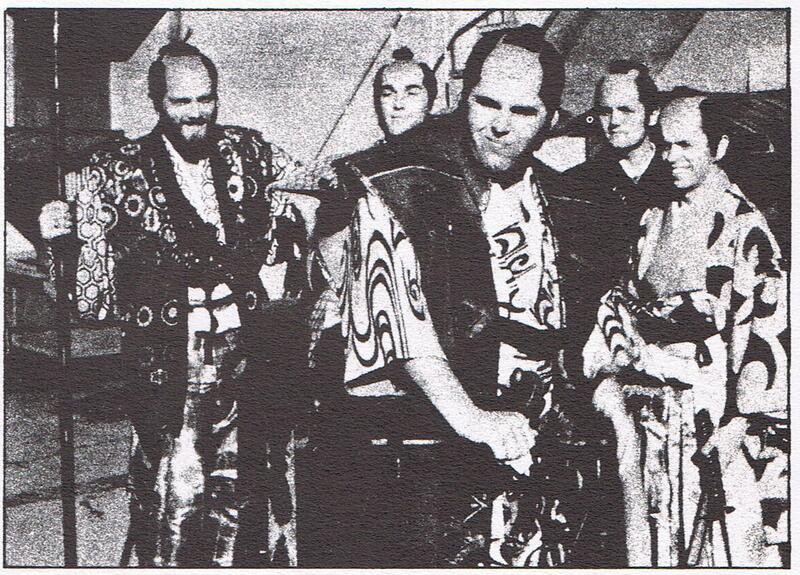 The Beach Boys in Japan, 1966. More versions of English/American hits done in other languages by the original artists. 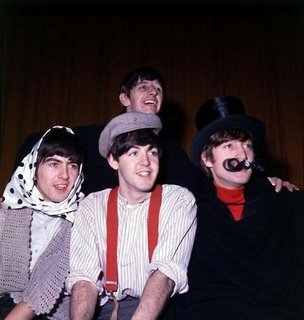 Now, there are TONS of hit songs that were remade for European and Japanese music fans – the Beatles’ remakes alone could fill a large warehouse – but we thought we’d focus here on the versions cut by the people who made the hits. I would give anything to see how long it took Johnny Cash to lay down German versions of his songs. Full disclosure: “Santo Domingo” by Wanda Jackson, was actually originally recorded only in German in 1965. She cut a handful of German-language songs that were eventually collected on an album, Made In Germany. Here we have a bunch of American and British hit singles, with the original artists, re-cut in foreign languages. Why did the world’s biggest artists feel the need to re-record their hit songs with vocals in different languages? To sell more records, of course. Don’t worry – people like Johnny Cash didn’t know German, or the Police didn’t speak Japanese. They got their song lyrics translated and sang them phonetically. God knows what kind of job they did – if you speak French or German or Japanese, let us know. Please come to Houston! Pretty please??? Now this isn’t a sports blog – and I suppose you know that. But today we’re gonna talk a little about the NCAA Final Four basketball series, which will unfold here in Houston, Texas, next week. It’s the big college basketball tournament that will ultimately decide who’s No. 1 in the country. 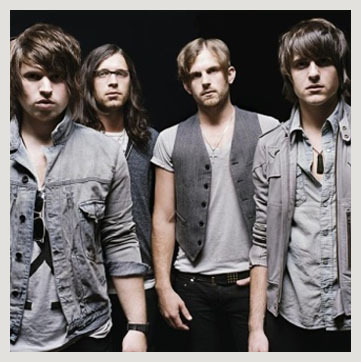 Kings of Leon, playing Saturday at, like, 3 p.m. or so? However our focus is (as always) the music part of the program, which has been officially dubbed “The Big Dance.” A lot of sportswriter types also call the tournament itself “The Big Dance,” as well as “March Madness,” and yes, it’s a little confusing. But Houston’s “Big Dance” is going to be a three-day concert series open to the public in order to celebrate the basketball tournament. The tournament itself is going to be in Reliant Stadium, a football palace in the south part of Houston, while the concert series is going to be in downtown Houston’s Discovery Green park – about seven miles north of the stadium. So far, just a little over a week before the concerts, they’ve only announced a few of the performers – Kings of Leon, Kenny Chesney and Sublime (with Rome). According to tour news site Pollstar, rapper Kid Cudi should join the Friday night lineup with Sublime, and country singer Pat Green should be teamed up with Chesney on Saturday. UPDATE: Although Kid Cudi was listed in Pollstar at having been signed to play Friday, indie rockers the Hold Steady and Los Skarnales will play with Sublime with Rome Friday night. Openers for Saturday afternoon’s show include Vallejo, Robert Randolph & the Family Band, Panic! At The Disco and Kings of Leon take the stage around 3 p.m. Schedule here. Kings of Leon, on Saturday afternoon, is a pretty decent choice and should draw a fair-sized crowd. Chesney also has a huge fan base – he usually has a show at the Houston Livestock Show and Rodeo but it looks like they were saving him for this. But Sublime with Rome? If you want to see how lame “punk rock” in the 1990s was, just go no further than Sublime. In fact, the real Sublime doesn’t exist – lead singer/guitarist Bradley Nowell died in 1996. Sublime with Rome is the new band, with a new lead singer, after Nowell’s family challenged the use of the Sublime name by the surviving members. Can you imagine Nirvana without Kurt Cobain, the Police without Sting, or Double Trouble without Stevie Ray Vaughan? OK, so the last video we posted (see below) was obnoxious and had a lot of rude language. Yes, we agree. But you notice we haven’t taken it down. So here is one the whole family can enjoy: “Tijuana Taxi” from 1965, by Herb Alpert & the Tijuana Brass. Ahh. Here’s a sneak peek at our buddies Satchel and Stix from Steel Panther in the studio, crafting their first (and probably last) sensitive piano ballad. That Elton John dude must really be an a**hole! And for God’s sake, this is totally NOT SAFE FOR WORK! You are currently browsing the 30 Days Out blog archives for March, 2011.